The junco is a winter visitor to Sutton. 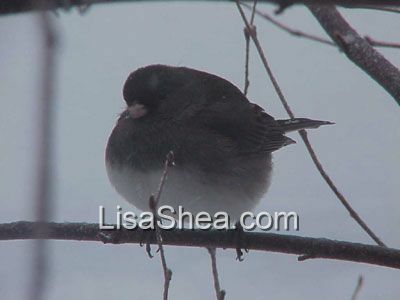 The juncos show up when the weather turns cold and the snow starts to fall. 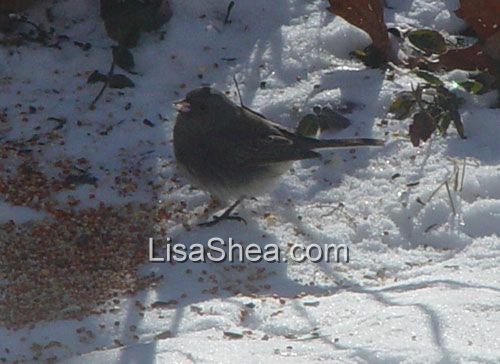 They hang around in the winter, eating at thistle that has fallen from feeders. When the warm weather approaches and the snow starts to melt, the juncos head back north again! 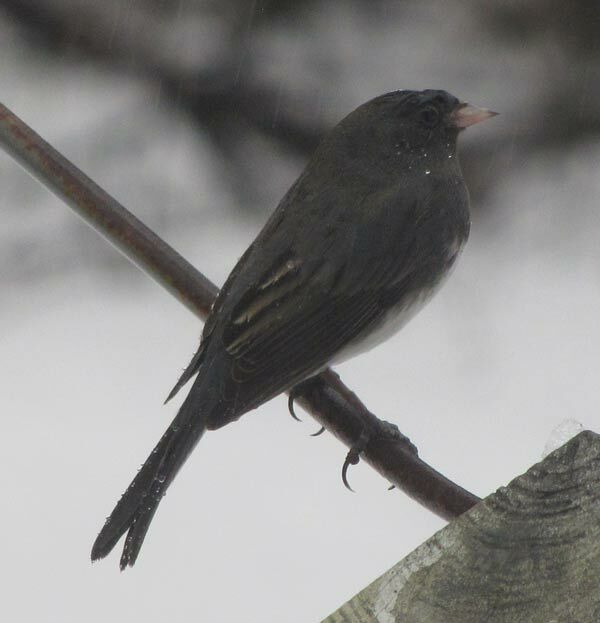 Juncos often arrive in small flocks, with all of them hopping merrily through the snow or digging through leaves.